The year end festive season is coming to an end with Epiphany (Three Kings’ Day), a christian feast day. 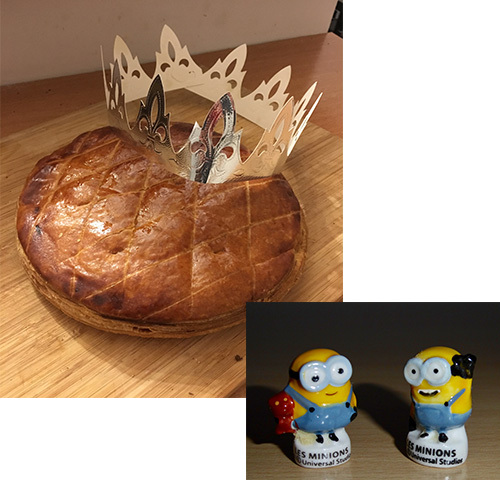 During the weekend of Epiphany, one gets to eat the Galette des Rois (The Kings’ Cake). It is a cake stuffed with almond flavoured filling. The tradition goes that a figurine is hidden in the cake, and whoever gets the slice with the figurine will be the King of the family for that day (his family members will be at his beck and call). Guess who is the King in our household? 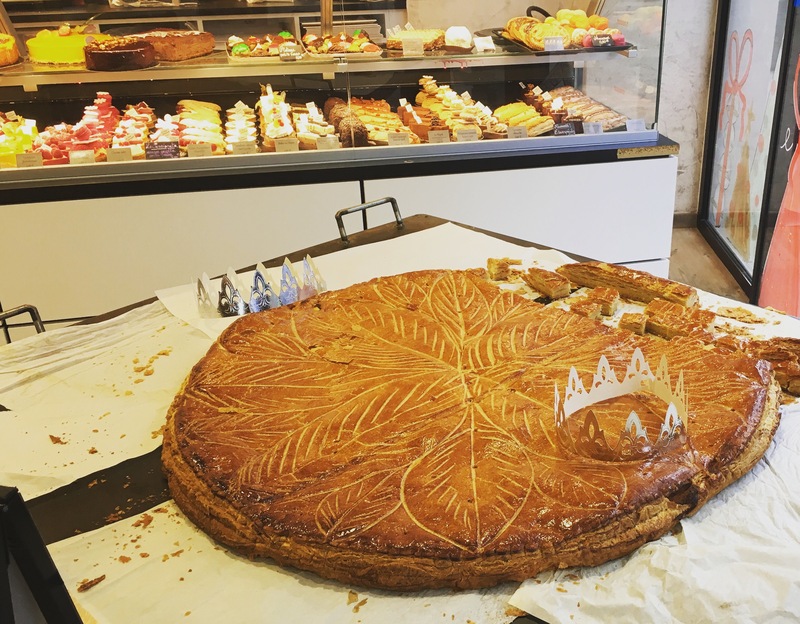 King-sized Galette des Rois (Kings Cake), made by my favourite local bakery. Silviu and I liked the cake so much that we finished in one go the 4-pax cake on Friday, and we bought another one to eat on Sunday, after my cross race! We bought 2 galettes, and within each, we found a Mr. Minion!